Single or double kayak available, back seat, foot rest, very comfortable and stable. 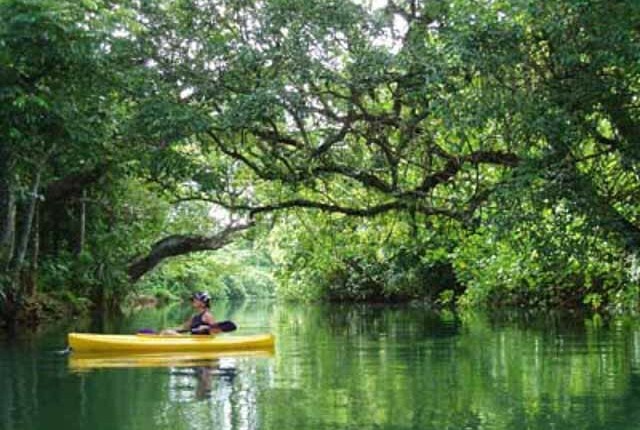 No dangerous animals or plants, no rapids, very safe and lots of fun, exciting, great adventures and very safe. So you’ve never paddled a kayak before no problem; our new Mission (single) or Q-Kayak (double) is very stable, comfortable and easy to use that you’ll forget your fears and focus your attention on enjoyment, without worrying about capsizing or keeping the boat on course. An easy access, open cockpit design, comfort moulded seat, complete with backrest, and overall simplicity make it ideal for newcomers, families, hire fleets and disabled groups. There is a entry fee of 1000vt (AUD$10) per person (excluding Children under 5) which is included in the price of your tour. 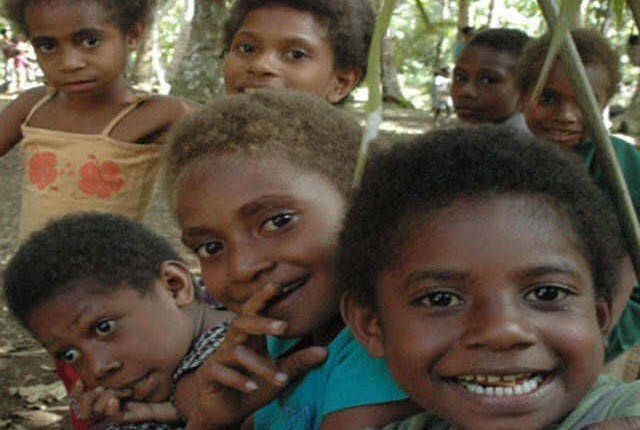 All of our tours involve either passing through or operate on the land of the local Villages. There is no Government support for these villagers, and their sole source of income is from support of Tourism projects like ours. It assists through the provision of education, providing clean water and other village infrastructure.When you book this tour, this fee will be automatically added to the cost of the tour. A fee of AUD $10 per person is included in the cost of the Tour which is paid to the land owners. All of our tours pass through local villages or custom land. Please Note: Eco Tours will be closed from the 25th February until 21st March 2017 as Pascal is away. Hat and Seat Cushion for Back or base. You could also bring towels, bathers and change of clothes but these are not mandatory. 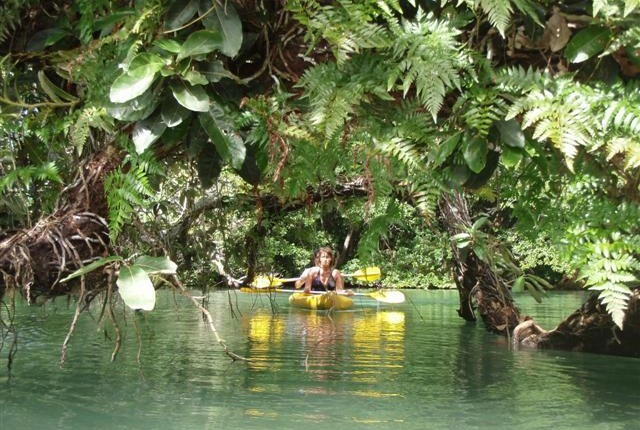 Vanuatu Ecotours is the only one tour operator who provides walking, cycling, river kayaking and river trek. Children are welcome to come on our tour. Our tours are designed for people of all fitness levels. It is not a tour designed for the next Olympian, but instead for the average person looking for a fun day out. 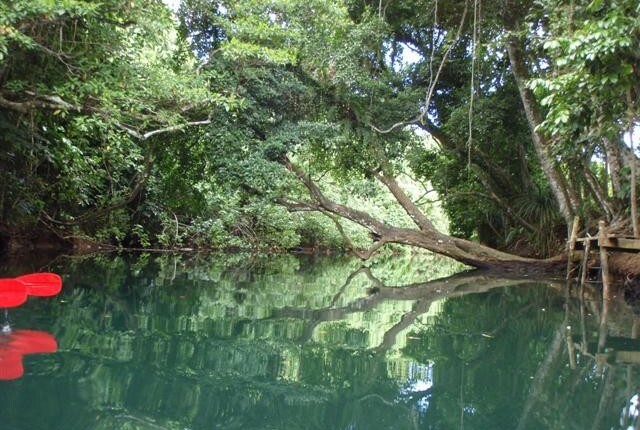 Pickup from your hotel or accommodation around Port Vila.